You can count on our prompt and efficient delivery of service. 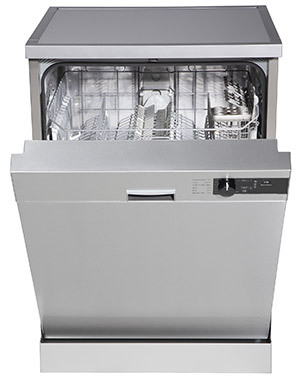 So, if you think you may need affordable dishwasher repair services, don't hesitate to call. Don't wait until your sink is crammed with dirty dishes, with nowhere to go. Call us now, and we'll be there to find a solution as soon as possible to get your dishwasher functioning properly again. If you need best dishwasher repair or dishwasher parts in Reno, let us handle it. You've got enough on your plate already. Is your dishwasher shutting off on its own? If it's running intermittently, what could possibly be causing that to happen anyway? A safety shut off feature could be activating, likely due to an obstruction or kink in a hose. Often, this issue tends to lie within the drain hose or inlet pipe - check it to make sure this isn't to blame. The issue could be due to a failing part which causes the machine to malfunction - leave it to a dishwasher repair pro to diagnose if this is the case.